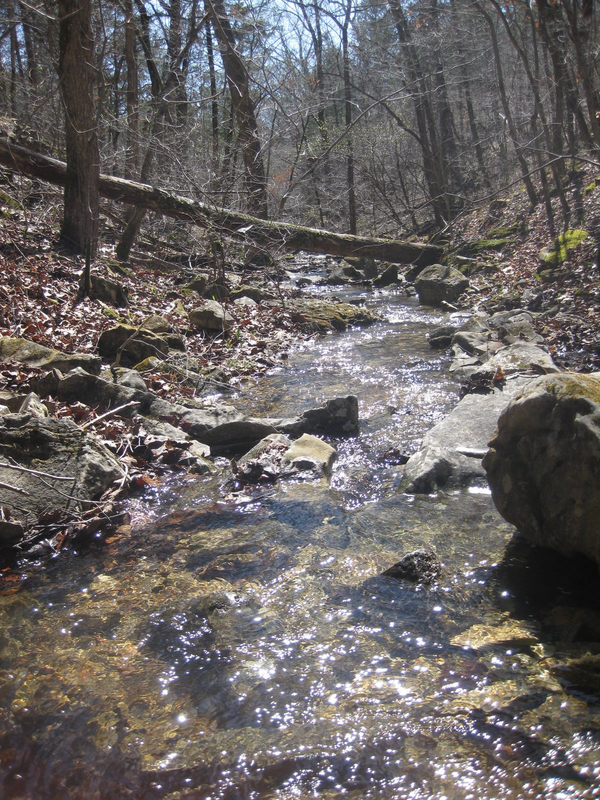 I feel a surge of happiness when I see Ozarks streams running full of cold, clean water. This season brings to mind one of my favorite songs, “Waters of March,” written by Antonio Carlos (“Tom”) Jobim, a Brazilian composer and musician who was at the forefront of the wave of popularity of bossa nova music in the 1960s. The Wikipedia entry for “Waters of March” reveals how popular the song has been. Even after 40 years, this song is continually discovered by jazz and pop singers from several countries. Jobim wrote Portuguese and English lyrics for the song, to reflect that the month of March is the end of summer in Brazil, while it is the end of winter in the Northern Hemisphere, bringing the promise of spring. The lyrics of both versions, which you can read here, tell no story, but refer to the simultaneous joy of nature and frustration of human endeavor in the rainy season. Since 1972, dozens of great and not so great pop and jazz singers have recorded “Waters of March.” Its tricky rhythm and complex harmony challenge performers. This version by Sofia is a good contemporary interpretation. The Irish indie duo Lisa Hannigan and Damien Rice also have a nice version, paired with another Jobim standard, Desifinado. My three favorite versions are by Susannah McCorkle, Joao Gilberto and a duet version of Tom Jobim and Elis Regina. McCorkle, daughter of an American anthropologist, spent part of her childhood in Brazil and was fluent in several languages, including Brazilian Portuguese. She sang both English and Portuguese words to “Waters of March,” modifying Jobim’s English lyric a bit to make it seem more conversational to Americans. It’s a good place to start. Gilberto’s version includes only his soft guitar and his relaxed and intimate voice and is a good example of his influential bossa nova style. Some people prefer the playful duet of Jobim and Elis Regina, in which the game they’re playing with one another seems to take over. Posted in Ozarks and tagged Antonio Carlos Jobim, Bossa nova, Susannah McCorkle, Waters of March. Bookmark the permalink. Thanks for subscribing and reading and commenting. And special thanks for saying erudite rather than nerdy and eclectic rather than scattered. Hi Harry, I’ve been hunting YouTube for Waters Of March performances. Besides the versions that you’ve mentioned, I also like this poppy version by Anya Marina. Thanks for bringing Anya Marina’s rendition to my attention. On the other end of the spectrum, I’ve been studying this version, which is a guitar lesson followed by an unpolished but affecting performance: http://www.youtube.com/watch?v=HsrVvxirFL0. Hearing Waters Of March at that tempo was illuminating – even I might be able to play it, one day!